What the president is saying is at odds with his actions. Easing the grip of opioid addiction on our state and our country will take commitment, time, compassion, science-based policymaking and a lot of new federal money. 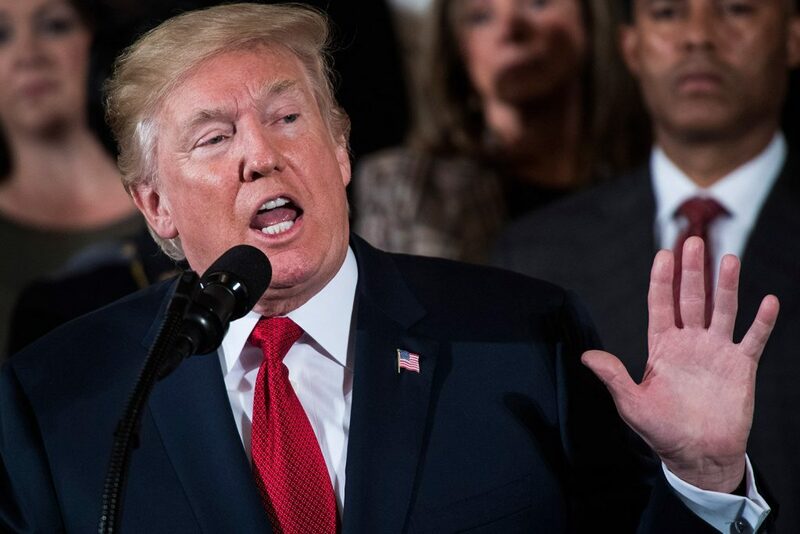 President Donald Trump’s declaration Thursday that the crisis is a public health emergency fails to bring these resources to bear against an epidemic that’s taking 142 American lives every day. But what we heard from President Trump this week doesn’t begin to live up to his promises. The public health emergency is in effect for only 90 days. It unlocks an emergency fund currently worth only $57,000. And it will allow the federal government to waive some regulations, shift some existing grant money from HIV patients to those fighting addiction, and expand the use of telemedicine treatment. So while the plan to fight an ongoing scourge that killed over 64,000 Americans last year does take some commendable — if small — steps, it has a built-in expiration date. More importantly, and tellingly, it’s getting no new federal money — and the long-term funding forecast for federal anti-opioid efforts is similarly bleak. Trump’s 2018 budget calls for reducing spending on the opioid crisis by $97 million compared with 2017 levels, Sen. Patrick Leahy, D-Vt., pointed out in a memo released Thursday. The Substance Abuse and Mental Services Administration, the agency that oversees addiction treatment programs is facing funding cuts, as is the National Institutes of Health, which Trump praised Thursday for its research into non-addictive painkillers. Also at risk is safety net support for those struggling with addiction. The 2018 budget proposal that passed the Senate last week calls for slashing Medicaid spending by $1 trillion over the next 10 years, thus putting access to medication-assisted treatment — the gold standard to treat opioid addiction — even further out of reach for those who need it but have no insurance and can’t afford to pay for it out of pocket. President Trump says he wants to end the opioid epidemic. But what he’s saying is at odds with what he and his allies in Washington are doing — and if they won’t allocate substantial new funding, we won’t get the long-term, comprehensive federal anti-addiction strategy we desperately need.